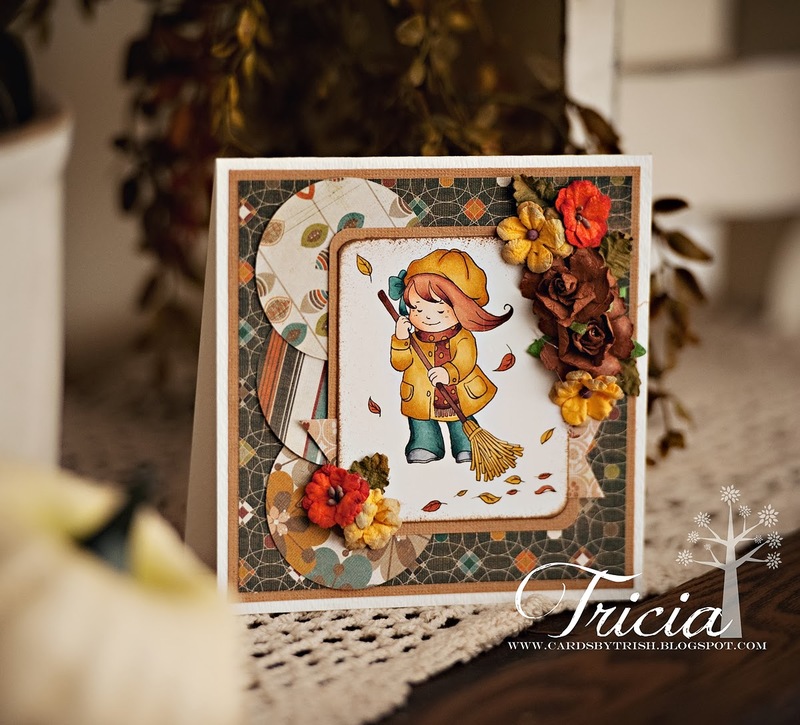 CARDS BY TRISH: Happy Fall! Brr, Brr, BRR!!!!! It doesn't feel like Fall here...more like winter! This week over at SACC, Digi Darla is once again our sponsor! She has been amazing through this past year and we are excited to partner up with her again for 2014! For my card this week I used Sweeping Fall Leaves. Enjoy and make sure to link up! Super cute! Love the flowers. Coloring looks great. Must be all the hours spent??? LOL!!!!!! !